Economists are starting to raise their growth forecasts in some of the wealthy oil exporting countries of the Gulf as a slow recovery in crude prices and public spending cuts ease pressure on state budgets, a quarterly Reuters poll of analysts showed. For over a year, analysts progressively cut their growth outlooks for the six GCC nations as low crude prices forced governments to slash state spending, creating a massive drag on economies. Since late-2016, however, oil prices have partially rebounded, with Brent crude now trading around $55 a barrel compared to last year’s average of $45. Analysts expect further, gradual gains. The oil price recovery coupled with the progress made by GCC governments in cutting spending and increasing revenues through higher taxes and fees has reduced the need for more near-term austerity and is allowing some governments to spend more freely. Qatar, for example, said in February it was close to eliminating its fiscal deficit. In the latest poll of 20 analysts, growth forecasts have been raised for two GCC states in 2017 and five countries in 2018. “The bulk of the adjustment to low oil prices has probably now taken place. Government debt ratios should stabilise in most countries by 2018 and further fiscal austerity will be less severe than it was in 2015-16,” London-based Capital Economics said in a report. “This should support a slow recovery in the region’s non-oil sectors.” The median forecast for economic growth in 2018 in Saudi Arabia was 1.8 per cent, up from the previous prediction of 1.5 per cent. The forecast for Saudi growth this year, however, fell to 0.5 per cent from 0.8 per cent, but that is because Riyadh is shouldering much of the burden of oil output cuts under a global deal among producers to prop up prices. The Saudi non-oil economy is expected to pick up this year as state spending recovers slightly. The latest poll showed a big improvement in the fiscal forecasts for the UAE and Kuwait. 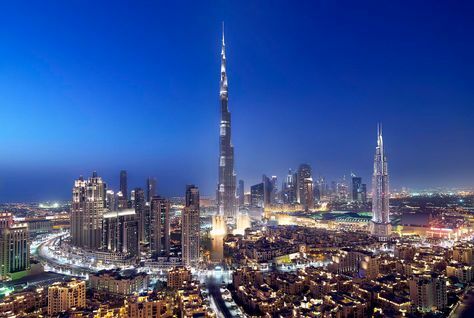 The UAE is now expected to run a consolidated budget surplus of 0.5 per cent of GDP in 2018, instead of the five per cent deficit projected previously, and Kuwait is now seen posting a surplus of 0.3 per cent rather than a deficit of 0.3 per cent. Bahrain’s outlook, meanwhile, deteriorated further after it dragged its feet on reforms. Analysts now expect Bahrain to run budget deficits of 10.8 per cent this year and 8.9 per cent in 2018, compared with previous forecasts of 10.3 per cent and 8.3 per cent, respectively. Parliament has not yet passed a state budget for 2017-18 and the International Monetary Fund said last week steps to cut the deficit considerably were “urgently needed”. Oman’s fiscal outlook also worsened, the poll showed, with the weakest state finances in the Gulf. Even after it introduced major fiscal reforms, Oman has continued spending heavily on economic projects to create jobs and diversify the economy beyond oil.